The nearest sandy beach is nearby at Glanleam. It is calm and sheltered and surrounded by subtropical gardens. There are 5 blue flag beaches within 30 minutes drive. There are larger sandy beaches on Beginish Island, easily accessible by boat in the summer. 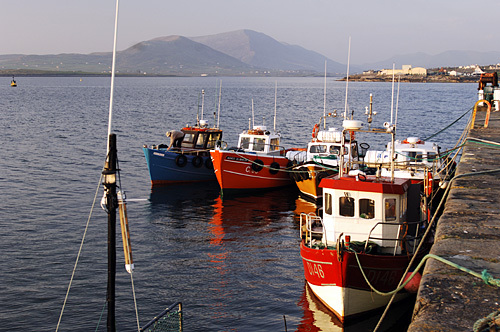 The largest beaches are at Ballinskelligs and Waterville. There is good surf at St. Finian's Bay. Boat trips, Angling & Diving. 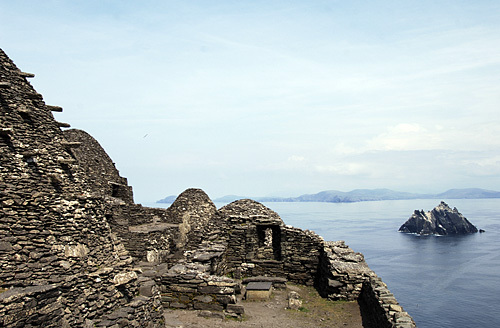 Boats leave daily for the 90 minute journey to the UNESCO World Heritage site, Skellig Michael, an early monastic settlement perched on rocky islands 13 km out to sea, and also one of the largest bird colonies in the world. This is a trip not to be missed. Excellent sea angling can be arranged while there is plenty of access nearby to both shore and lake fishing. 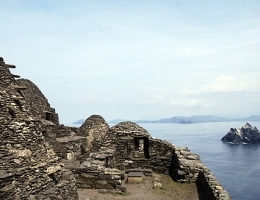 Scuba divers will find world class dive sites at the Skelligs while shore diving is also an option with rental facilities on the island. Those wanting to learn to dive or improve their qualification can book lessons at the island's PADI centre. There are excellent seafood restaurants within easy reach. 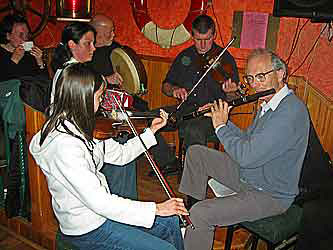 Knightstown is home to The Royal Hotel and Bostons Bar for regular music. 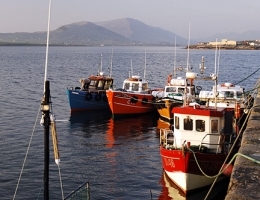 Highly recommended are The Fuschia, in Knightstown, O'Neills at Renard Point, and The Bridge Bar and The Moorings Restaurant, in the village of Portmagee to O'Neills at Renard Point, The Bridge Bar and The Moorings in Portmagee are a short journey by car offering quick bites or full restaurant menus. Both Bostons Pub and The Royal Hotel provide varied menus throughout the year.The larger town of Cahirciveen, on the Ring of Kerry, has craft shops and lively bars and restaurants. - Tetrapod Trackway: The oldest dinosaur footprints in the northern hemisphere at 385m years, are 300 metres away from the house. - The first transatlantic telecommunications cable was laid from Valentia to Newfoundland, in 1866, linking New York and London for the first time. - Valentia slate was used on the Houses of Parliament and Westminster Abbey in London. - The view from Coastguard Patch was used in the recent "San Jose" Guinness ad.